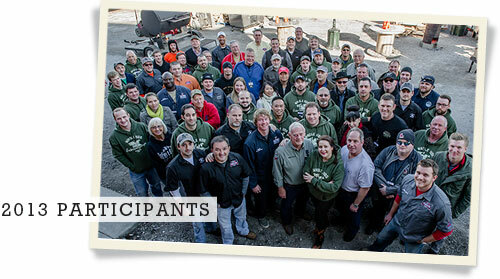 The only barbecue business seminars offered in the industry. $375 – Unleash the power of your pit at The Warehouse at 17th Street! This one-day workshop features cooking on a variety of Ole Hickory models and an opportunity to learn Mike Mills and crew’s secrets for cooking ribs and chicken (April 19) or brisket and shoulders (November 15), as well as his philosophy on smoke and spice. Mike will share the tips and techniques for cooking on Ole Hickory pits that took him years to fine tune. Whether you already own a pit, or are considering purchasing one, you will leave this class with new and valuable information. This class is scheduled in conjunction with the Business of Barbecue class as a good number of participants tend to register for both. $950 – Go behind the scenes at 17th Street. Critical to success in a barbecue restaurant is large-scale meat production and holding. We’ll show you how we prep, smoke, and hold ribs, pork, brisket, and chicken for our restaurants. In between the cooking demos, we’ll discuss branding, marketing, PR, vending, restaurant financials, and best practices. Tour behind the scenes of our restaurants and catering facility, and we’ll share resources and suppliers. Novices and veterans alike will leave with concrete information and excellent ideas that will impact their bottom line. $950 – Dive deep into the subject of catering. The 17th Street crew, along with guest instructors John Delpha and Andy Husbands, will demo new recipes and share a multitude of ideas applicable to all levels of catering. You’ll learn how to price and execute events for maximum profit and customer satisfaction, and gather dozens of ideas to strengthen your bottom line, elevate your best practices, and help your catering business soar. In addition to these classes, we also offer private and on-site consulting services. For more information email Amy Mills or call 781-799-7202. Just 40 seats are available, and last year we sold out just before Christmas* so don’t wait – reserve a spot now! 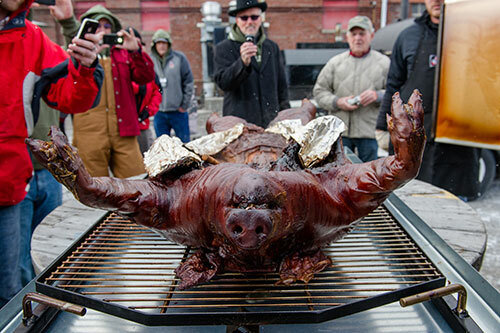 Whole hog. Beef ribs. Brisket. Sausage. You’ll learn about regional traditions and, best of all, you’ll be able to taste the different flavor profiles cooked with a variety of wood, spices, and sauce. Coolfire Studios, producers of a number of award-winning shows, as well as the Mills family’s upcoming series, shares casting advice and a behind-the-scenes look at making compelling television. John Delpha, Ken Goodman, and Amy Mills share insight into the publishing game. They’ll discuss their book deals, the writing and photography process, and what happens once a book is published. Celebrity chef/food photographer Ken Goodman gives five simple steps for improving your smartphone photos. 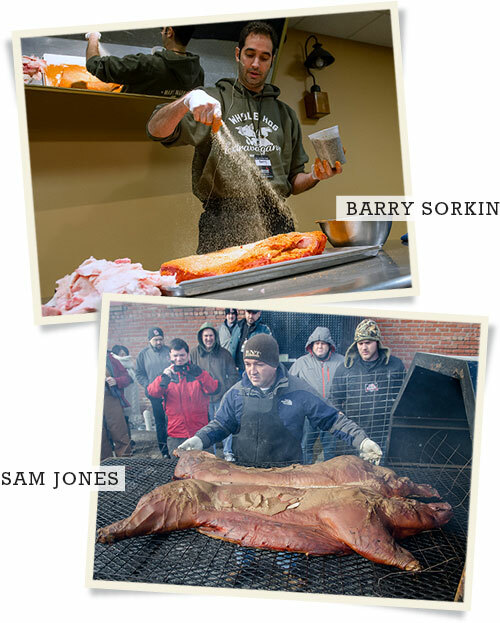 Sam Jones, Amy Mills, and Wayne Mueller talk about being raised up barbecue, their roles in their family businesses, and how they’re taking it to the next level. Industry luminaries discuss the barbecue lifestyle, and the principles and ideals by which they’re guided. More to be announced shortly! To learn more or to register, just email Amy Mills. *Thinking of gifting a registration to someone? 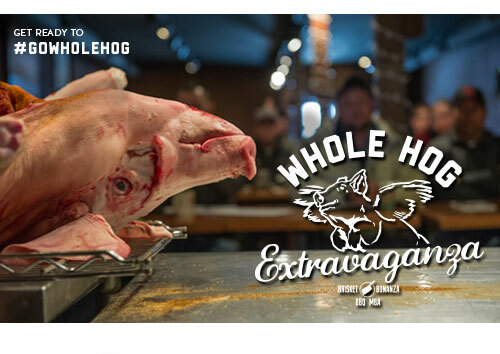 Whole Hog Extravaganza Gift Certificates are available! Just email Amy.